AWESOME POTENTIAL! Lovely rarely available 1 bed & office/den corner unit, in the very popular H&H. 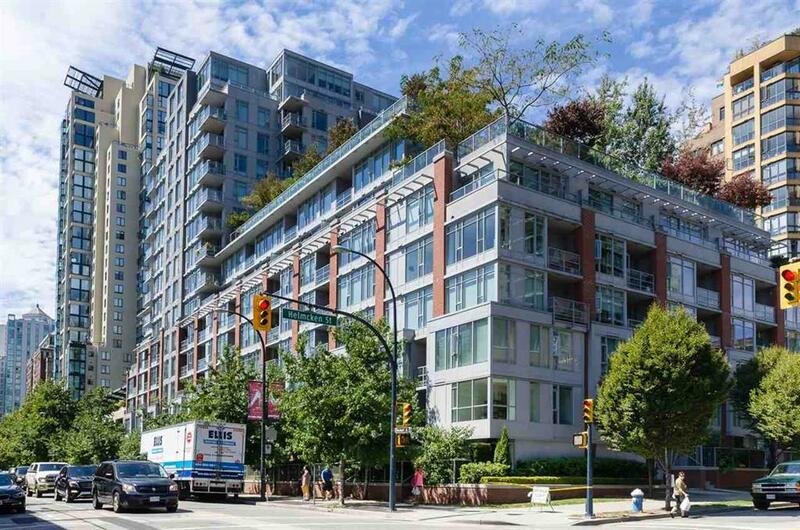 Fantastic floor plan with no wasted space, facing South West views over looking Historic Yaletown. Beautifully finished gourmet kitchen with Viking, Liebherr & Fisher & Paykal appliances, black wood cabinetry, & stone counter tops. Spa inspired bathroom with soaker tub & shower. the bright den is perfect for an office. Large in-suite storage. Building amenities include visitor parking, gym, party room with full kitchen, roof top gardens & dog play area. In the Heart of trendy Yaletown, a few steps away from the Canada Line, boutique shopping, cafes & world famous dining. This unit has been tenanted & needs some lipstick.